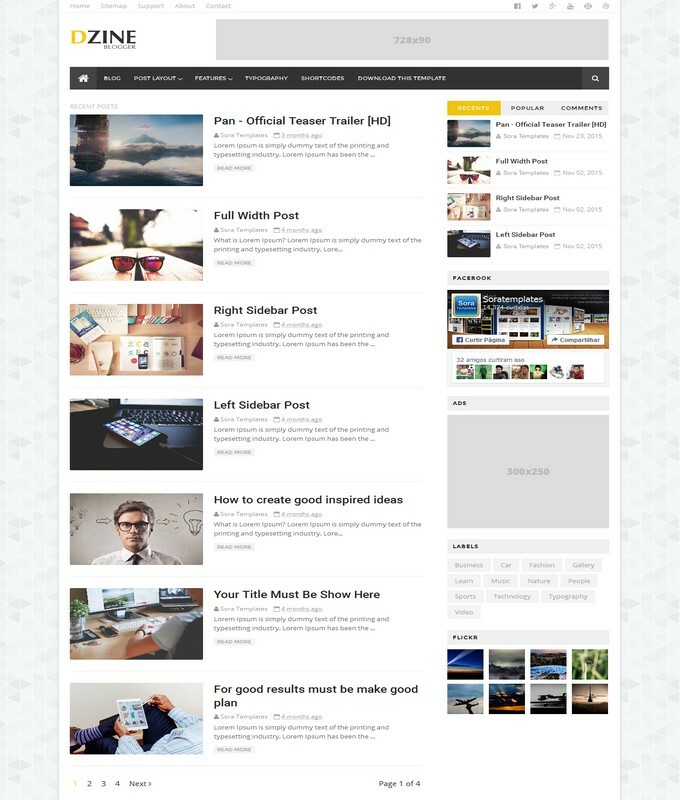 Astonish responsive blogger template is a modern, clean creative and magazine blogger theme. It comes with advance fantastic slider and unique design. It has number of promo blocks that would bring extra beauty in your blog. 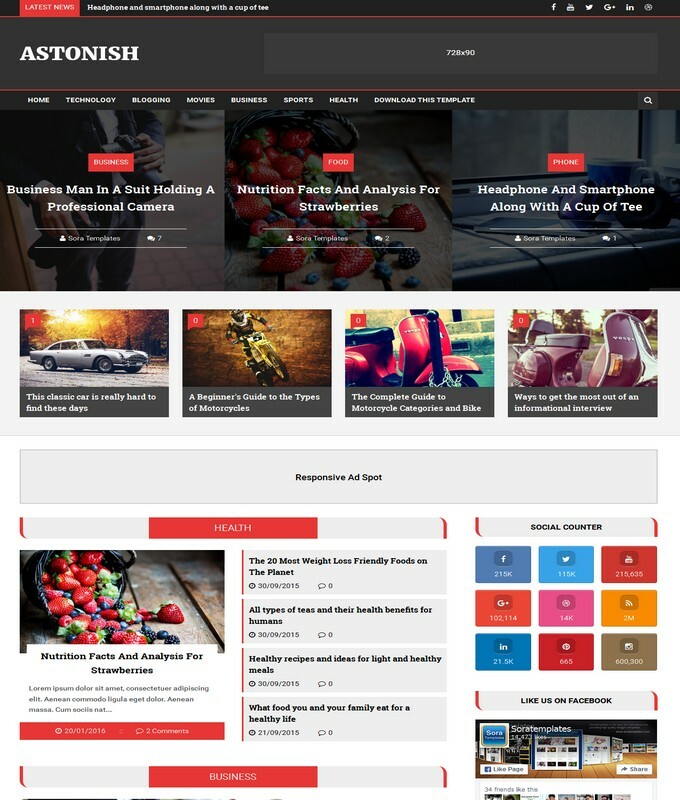 It is a red-hood with big post slider, popular posts and amazing author sections blogspot template. 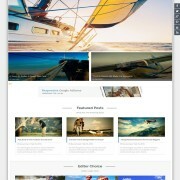 Another best feature comes with this template is its latest portfolio layout and responsive ads slots. 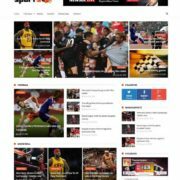 Moreover, Astonish is completely schema integrated, fully seo friendly and fast loading blogspot theme which takes second to load in any browser. 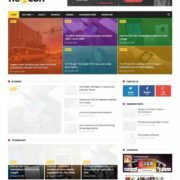 The social media buttons has unique style and a sleek footer design. Another awesome design we like here is its black interface with red font style. 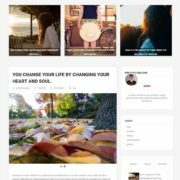 in-short, if you are looking for best premium free magazine style template then this template would be your first choice for a blogger website. Here is some key features that comes with this splendid theme. 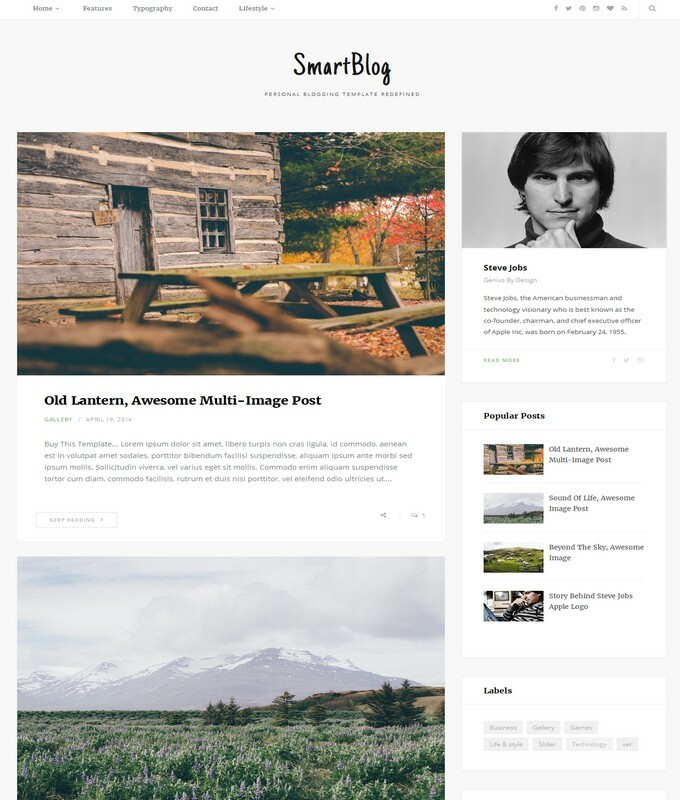 Template Style: Astonish blogger template is a magazine and minimalist style theme. It has an awesome automatic Slideshow widget with modern design layout 2 columns interface. It is color Black and red theme. with Post Thumbnails. A cute label widgets and social sharing buttons with attracting design. 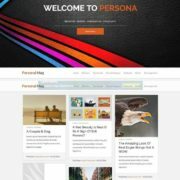 One portfolio section for authors with circle image design. a lot more features included.